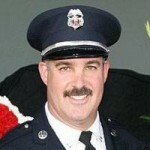 Bob Atlas is a Battalion Chief with The Contra Costa County Fire Protection District. 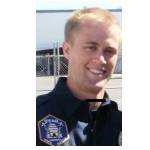 He entered the fire service as a Community Fire Aide for the Milpitas Fire Department in 1996 and completed an internship with the South Santa Clara County Fire Protection District and Cal Fire in 1997. Bob was then employed as an Emergency Medical Technician for American Medical Response. 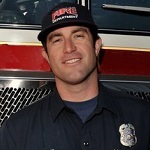 He was hired by The Contra Costa County Fire Protection District in 1999, promoted to Fire Engineer in 2002, Captain in 2005 and Shift Battalion Chief in 2011 and is currently assigned to Battalion 1. Chief Atlas oversees almost $10 million in Local, State and Federal grants for training, apparatus, equipment and staffing. Atlas has instructed at the CCCFPD Fire Academy and other fire academies in the area. 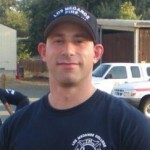 He is a California State Fire Marshal certified Fire Instructor I. He is a member Of FEMA US&R, California Task Force 4 and The CCCFPD Technical Rescue Program. Bob is a member of the East Bay Incident Management Team and assigned to the Operations Section. Atlas is also The CCCPFD Terrorism Liaison Officer and a Certified Oral Board Rater for the fire district. He has been coaching entry level candidates since 1999. Bob is Co-Owner of Public Safety Training Group, a leader in public safety training & education since 2004. 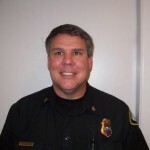 Bob holds a Bachelor of Science in Engineering from The University of Massachusetts and an Associates of Science in Fire Science from Mission College. Chief Atlas’ philosophy is simple… Do your job and Do what is right, Always. Become the Unshakeable Optimist, This can be one of the most difficult things to do. It requires that you do not “jump on the bandwagon” every time someone starts talking negative. You must limit that exposure. It is imperative that you remain positive and protective of your time. You can choose your thoughts and how you process them. Remember, someone else is out there working on getting hired just like you. It is a dogfight and your objective is to be the last one standing. To do that you must have conviction all the time. Posted in Secrets to Success | Comments Off on Secrets of Success for Entry Level Firefighters, Part 1.